Can creativity quotes from famous, diverse voices inspire kids to explore their own creative abilities? Like poetry, song, and prose of all kinds, quotes have a unique way of reaching to the core of what humans have learned about themselves for centuries. With the help of adults who take time to discuss good creativity quotes with kids, children can reflect on their own inner genius and ways to apply their gifts in the world. Creativity is the ability to generate and communicate original ideas and appreciate the nature of beauty. It fosters imagination, innovation, and a sense of aesthetics. Parents nurture the evolution of children’s ideas at home and teachers inspire creativity in the classroom when they encourage young people to express themselves through unstructured play, writing, poetry, magic, acting, photography, art, digital media, etc. When adults notice and praise youth for thinking outside the box and taking risks, the imaginations of young people blossom. Many children don’t recognize their own creativity. They limit the idea of creativity to a product, like art or poetry. But creativity is a process in which everyone participates and benefits. Some of us express creativity in the way we dress, the recipes we concoct, the doodles we create, or how we make people laugh. 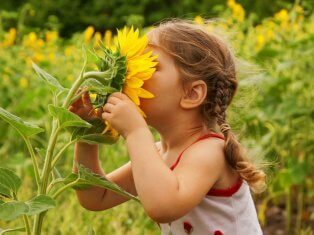 Quotes about creativity can stimulate children to explore themselves in new ways – to discover the meaning of beauty, playfulness, and imagination in their lives. Wise people from throughout history have talked about the importance of creativity, from 13th-century poet, Rumi, to today’s beloved children’s author, J. K. Rowling. Research shows that creativity is one of eight core abilities that drive successful kids. This article is the eighth of a nine-part series on how adults can promote learning and development using inspiring quotes for kids. You may wish to read the introductory article to learn how the collection of 200 quotes are related to The Compass Advantage, a framework for positive youth development. The following creativity quotes are short, simple, and memorable. Children from elementary through high school will find meaning in these quotes appropriate to their level of development and understanding. Creativity is the place where only you can go. Your discovery there will be wonderful for you will have discovered yourself. My alphabet starts with this letter called yuzz. It’s the letter I use to spell yuzz-a-ma-tuzz. You’ll be sort of surprised what there is to be found once you go beyond ‘Z’ and start poking around! You won’t change anything significant in the world if you try to be like it. Change comes when you do something different. 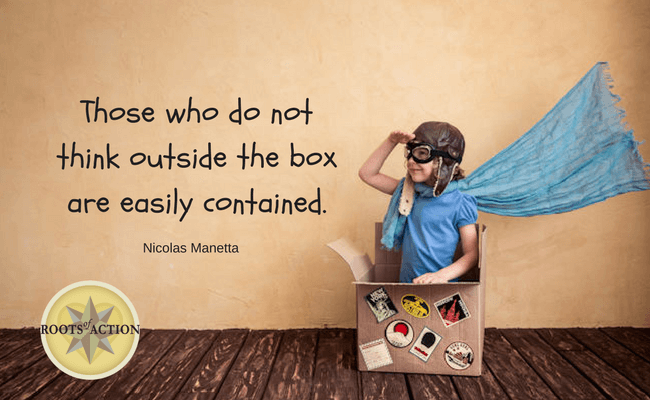 Those who do not think outside the box are easily contained. 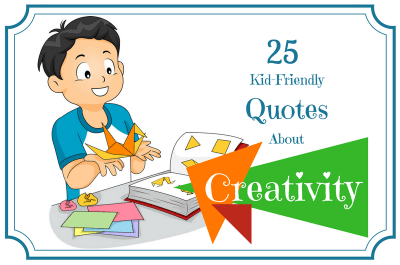 The following discussion starters are just a few of many that can be used by parents, teachers, and after-school program leaders to engage children with quotes about creativity. What are your favorite creativity quotes from the list? Why? Describe a creative person you know or have learned about. What do you most admire about that person? Why? 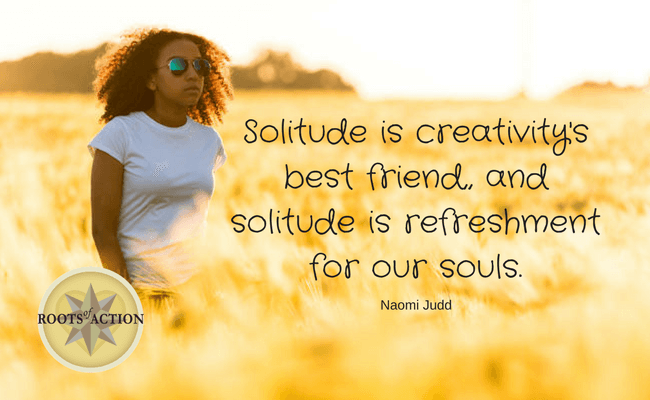 Do you see yourself as a creative person? Why or why not? How does nature connect people to creativity? What are some of the many ways people express creativity in their everyday lives? What are the positives and negatives of being creative? How do people learn to become creative? In what ways could your creativity help others? What problems in the world, such as those related to affordable housing or alternative energy, would creativity help contribute to solutions? Your Favorite Quotes About Creativity? Do you have any favorite quotes about creativity that engage children and teens in dialogue about imagination, inspiration, inventiveness, playfulness, originality, the nature of beauty, or humor? We’d love to add to our collection by inviting you to share your quotes in the comments section below. There are many fun activities using quotes that can become learning opportunities for children. One activity is to have children develop their own quote that might inspire others. They could choose one of the abilities in the Compass Advantage on which to focus their original quote. Quotes can become artwork to be posted at home or school. Children can be invited to think about other human values, like humor, tolerance, justice, respect, optimism, etc. They can search the Wisdom Archive, a wonderful quote search engine, for quotations that speak to them. A listing can be compiled of quotes with the most meaning, or posters can be created for home or school. Ideas are only limited by children’s imagination!